In February of 2006, at the age of 68, Allen Toussaint launched his very first world tour. Long established as one of America’s musical treasures, Mr. Toussaint never sought the world. The world came to him. They came to New Orleans … to local stages and his famed Sea-Saint Studios. Then Hurricane Katrina destroyed the stages and studios and people stopped coming to New Orleans. Some people even asked if New Orleans was worth saving. Wisdom only comes with age and it certainly blessed Allen Toussaint. One of New Orleans’ most ardent ambassadors, Allen recognized that the city’s future could not be casually assumed. The world needed to be reminded of our unique and precious culture – our literature, art, cuisine, architecture … our music. And so, following his Katrina-inspired collaboration with Elvis Costello – The River in Reverse – he set out to reignite the world’s passion for New Orleans. Long renowned as a musician’s musician (inducted into the Rock and Roll Hall of Fame in 1998), Allen Toussaint never liked the limelight. But now he had an urgent message to share with the world and actively sought the public’s ear. If you’d like to hear that message yourself, just listen to his music. It will tell you about New Orleans. About who we are. About our home and why it’s important. Hurricane Katrina took Allen’s home, recording studio and decades of memorabilia. In return, it gave him a mission. Allen Toussaint’s life experience gave him the vision to recognize and embrace this mission. He understands that we cannot rely on others to protect and preserve the things we love. We can only rely on ourselves. 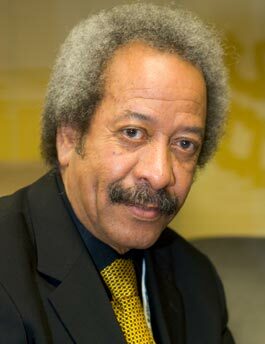 Allen Toussaint … Peoples Health Champion.